Dental veneers are a great way to transform a smile without the expense or effort often required of other restorations. These thin layers of dental material adhere to the front of teeth as a "mask" to cover chips, heavy staining or other blemishes. Still, veneers require attention to detail for a successful outcome. Here's a step-by-step look at changing your dental appearance with veneers. Step 1: Considering your options. While most veneers are made of dental porcelain, composite resin materials are increasingly popular. Although more prone to chipping or staining, composite veneers don't require a dental lab for fabrication. Another option, depending on your dental situation, are ultra-thin veneers that require little to no tooth preparation. Your dentist will help you decide which options are best for you. Step 2: "Test driving" your new smile. We can help you "see" your future smile with special software that creates a computer image of your teeth with the planned veneers. 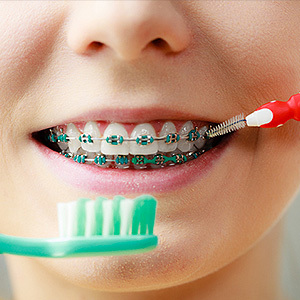 We can also use composite material to fabricate a "trial smile" to temporarily place on your teeth that can give you the feel as well as the look of your future smile. Step 3: Preparing your teeth. Unless you're getting no-prep veneers, we'll need to modify your teeth before attaching veneers. Although only 0.3 to 0.7 millimeters thick, veneers can still appear bulky on unprepared teeth. They'll look more natural if we first remove a small amount of enamel. A word of caution, though: although slight, this enamel removal permanently alters your teeth that will require them to have some form of restoration from then on. Step 4: Attaching your new veneers. After the planning phase (which includes color matching to blend the veneers with the rest of your teeth), a dental lab creates your veneers if you've opted for porcelain. After they're delivered, we'll clean and etch the teeth with a mild acidic gel to increase the bonding effect. We'll then permanently attach the veneers to your teeth with a very thin but ultra-strong resin luting cement that creates a unified bond between the veneers and teeth. Following these steps is the surest way to achieve a successful outcome. With due care you're sure to enjoy the effects for a long time to come. What does a family dentist do? 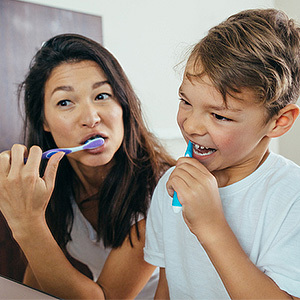 As the name implies, he cares for entire families, from the youngest to the oldest members, following their oral health needs throughout their lifespans. Dr. David Campbell and his team consider it an honor to serve families from all over the White Lake area, offering state-of-the-art preventive, restorative and aesthetic treatments. Here's how they can assist you and yours. You're not a stranger when you come through the doors of your White Lake family dental practice. You'll be warmly greeted and taken to your treatment room on time. As your family dentist, Dr. Campbell knows your time is very valuable. He also knows you want the best of care for your children and for the oldest members of your family. He carefully and vigilantly examines teeth and gums every six months as recommended by the American Dental Association, looking for decay, gum disease, bite problems, oral cancer and the condition of existing tooth replacements and restorations such as crowns and fillings. He watches children as their jaws develop and teeth erupt, referring for orthodontic evaluation by age seven as advised by the American Association of Orthodontists. Routine examinations include digital X-rays, too, as well as professional cleanings performed by your friendly and informative dental hygienist. She'll become well-acquainted with your family members, tracking your at-home hygiene habits and helping your children brush and floss properly. Each family member will receive a care plan customized by Dr. Campbell. He'll indicate what may need immediate attention, address cosmetic concerns and help you plan any needed restorative treatments. Whatever you need to keep a healthy smile, Dr. Campbell offers it. Of course, his main emphasis is preventive care which includes fluoride treatments and plastic sealants for children. What's your family's health worth? We know it means the world to you. So, Dr. Campbell ensures all his patients receive the most up to date oral health care available. When you call for your routine check-ups and cleanings, be sure to ask about our in-office Family Plus Plan which makes preventive care affordable for all. Phone us today: (248) 887-8387.